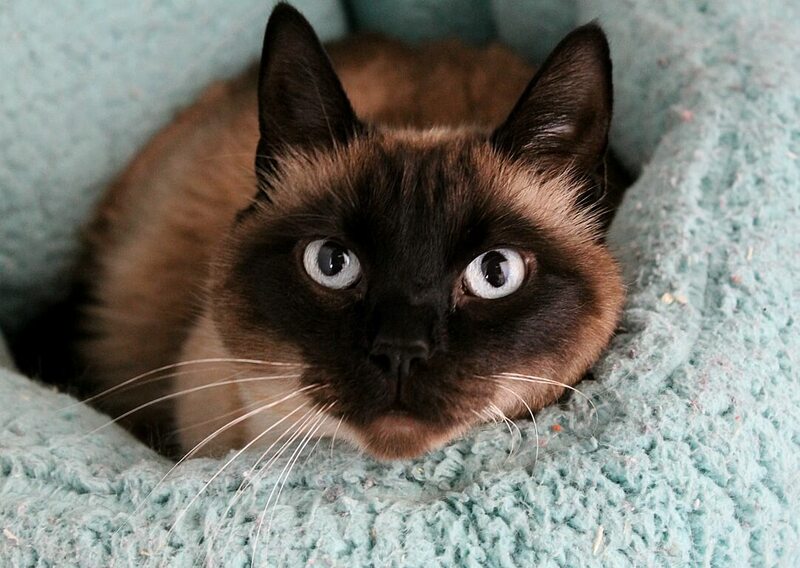 I’m Simone the Seal-point Siamese girl looking for my new home! I’m just about 3-years-old and am a very smart girl always in search of a new adventure. Not only am I drop-dead gorgeous, I’m also a social butterfly and am usually eager to meet new people. I am definitely used to an indoor-outdoor lifestyle so having access to a catio or some sort of safe outdoor space would be ideal for me — I would not do well in an apartment setting. However, a larger home with lots of places to explore and things to do would be wonderful! I’m an affectionate girl with people and will often solicit lots of petting from anyone who cares to stop by and say hello. I’m not really used to being around little kids, or other cats, so an adult-only home with no other kitties would probably be the best place for me. I will give you lots of kitty love, however, so you won’t feel like you need anyone else with me around! Though I’m a Siamese mix, I am very quiet and don’t have a big loud meow. I’m a young, healthy, and beautiful kitty and have many years of life left to enjoy with one lucky person or family. Won’t you come by to meet me so we can be friends? I’m currently residing at the Petco on SE 122nd & Division, so come meet me today! I come to you fixed, vaccinated, and micro-chipped for an adoption fee of $100.